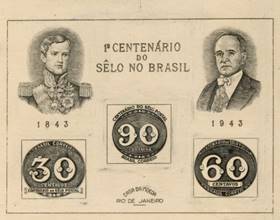 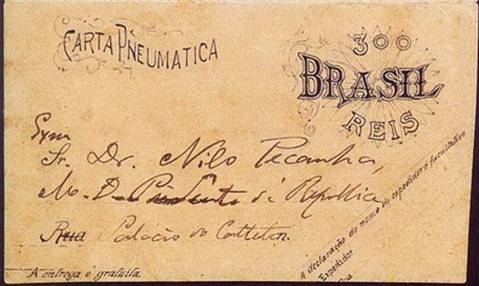 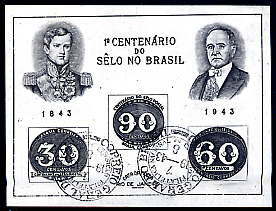 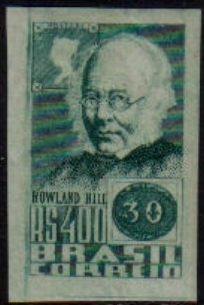 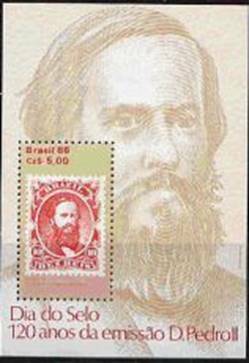 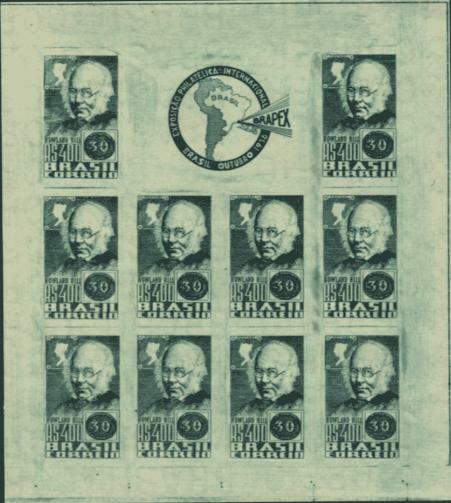 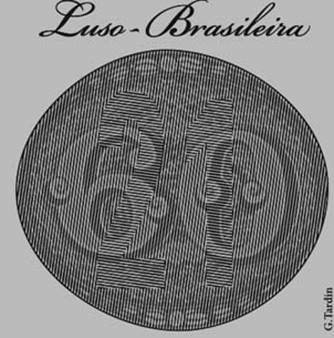 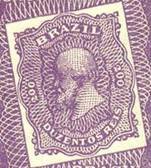 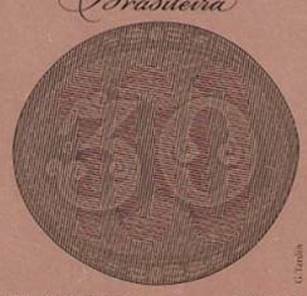 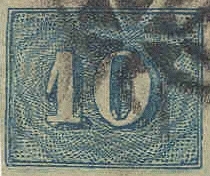 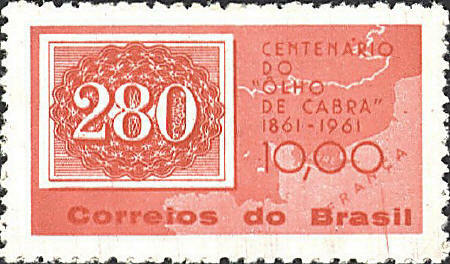 Lou wrote: The Brazil #608 scan shows the reproduced stamp — some of the printings appear over-inked, and the features of the emperor’s face are blurred. 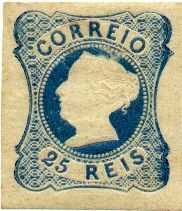 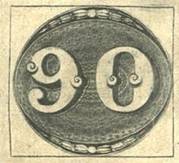 Especially tho, you can see that the stamp is imperforate, so it should be noted as modified. 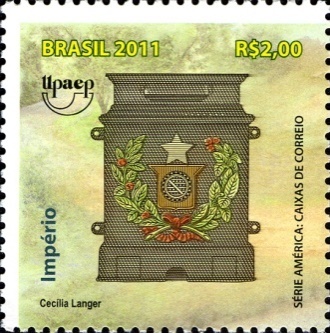 It still annoys me when a designer either adds or deletes perfs on a stamp for no apparent reason, so for many years in my database, I gave him the benefit of the doubt, and I listed the reproduced stamp as #66 which is rouletted, since it looked more like an imperf—and even bought one to mount with my #608. 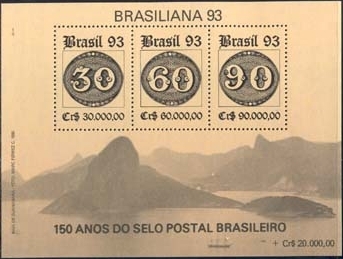 Some time later, I found a dealer had an imperf proof of #59 which he said was unlisted in the specialized Brazil catalogs, so he thought it to be spurious. 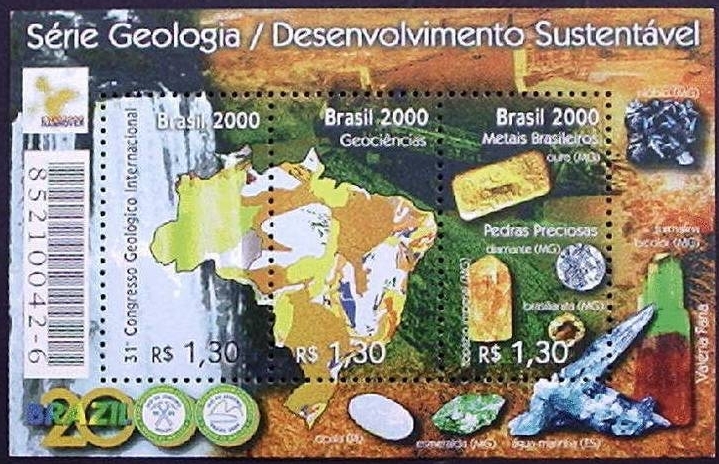 I thought it was too good to be a fake and since it was inexpensive, I bought it to add to my display. 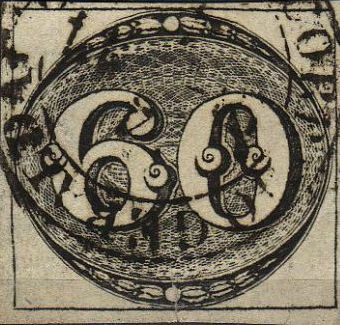 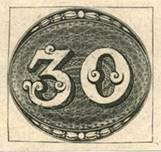 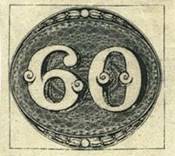 Several years later I saw a photo of an American Bank Note Co advertising sheet which had black prints from the original dies of many actual stamps produced by them, and one was my #59 proof. 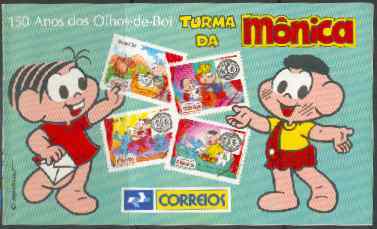 I have sent scans of both. 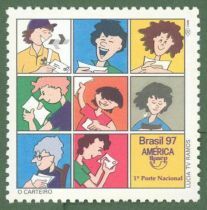 Lou Wrote: This was one of the first SOS that I acquired the reproduced stamps for— first, because two were only partials and all were all shown in changed colors, but most of all, because I was able to buy them all quite easily for under $1.00! 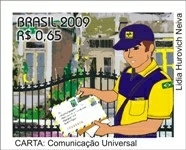 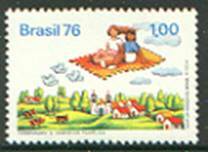 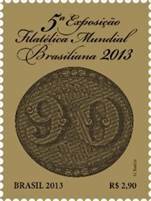 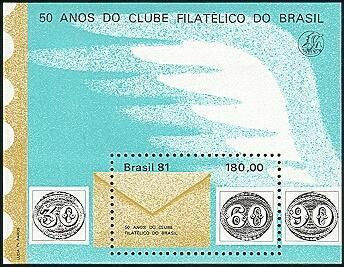 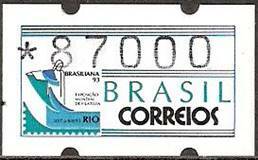 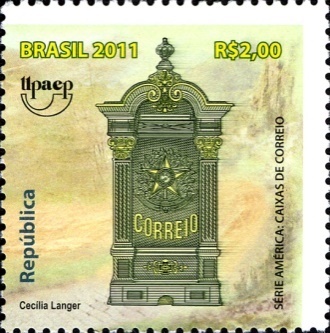 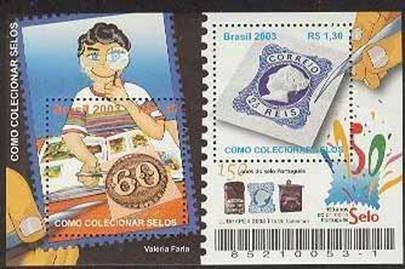 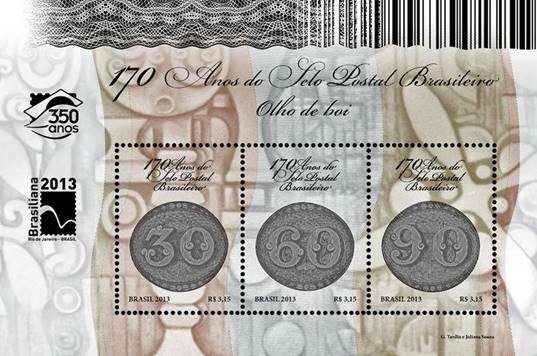 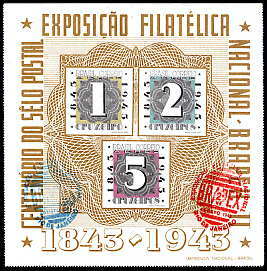 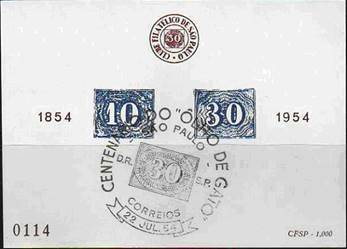 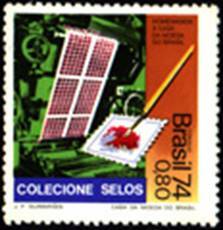 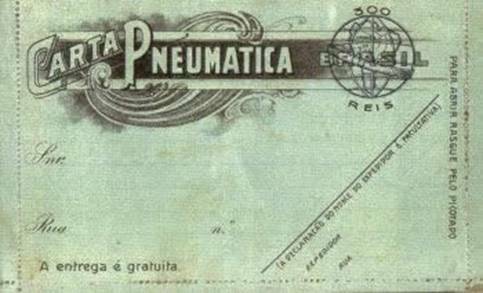 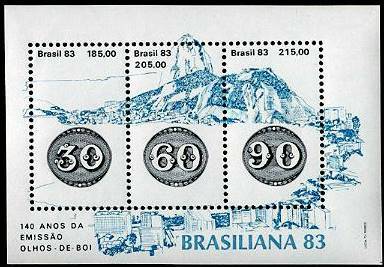 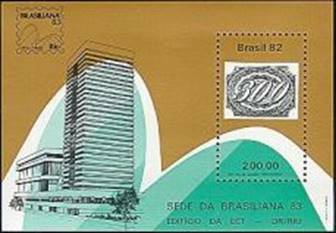 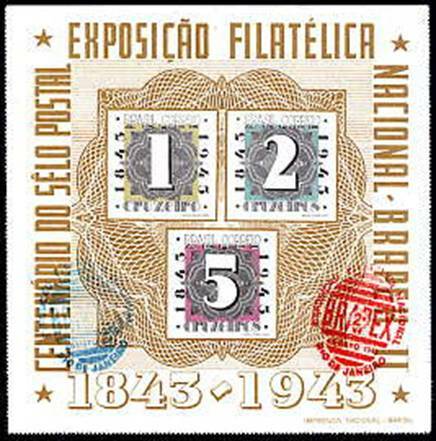 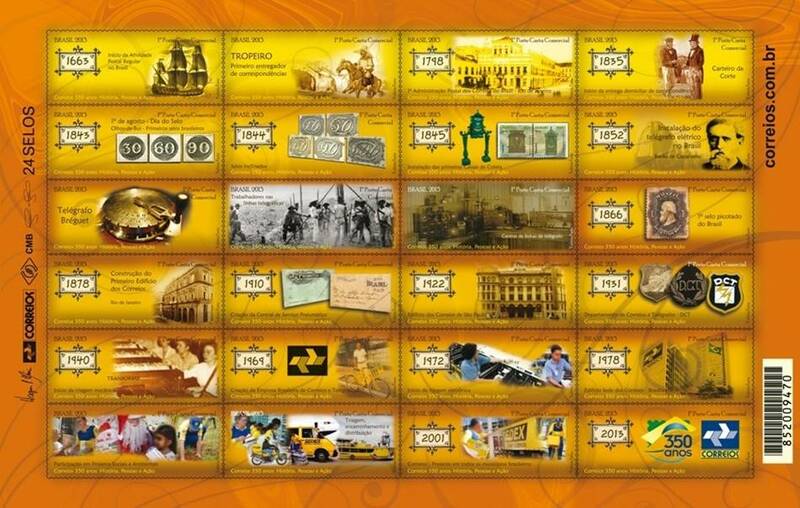 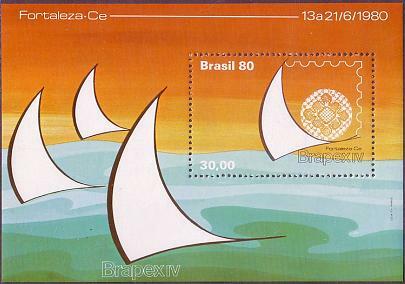 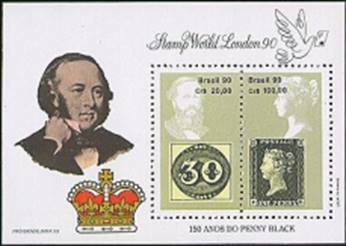 Lou wrote: This is the second in a series of 3 issues-- the third, reproducing Brazil # 3, will be issued in 2013 to co-inside with the 160th anniversary of the first stamps of \Brazil and the exhibition. 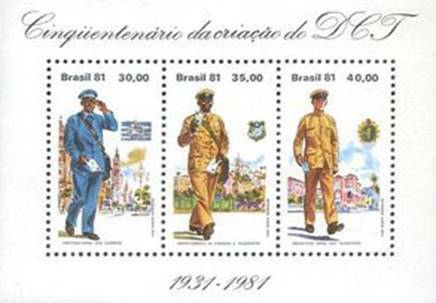 I will bet that there will also be a s/s issued then which reproduces all 3 designs.